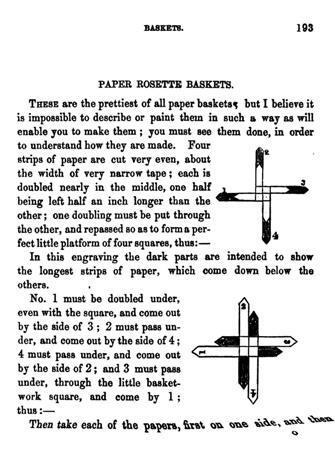 Paper Ball Baskets - ie a basket made of card and decorated by quilling. 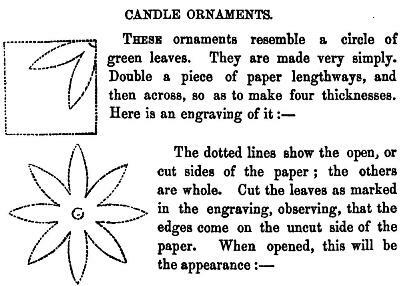 Alumets (presumably a misspelling of allumettes which is French for matches). 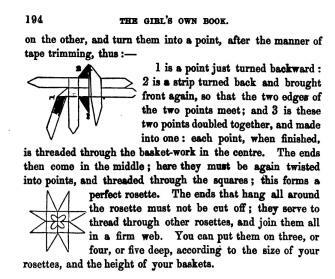 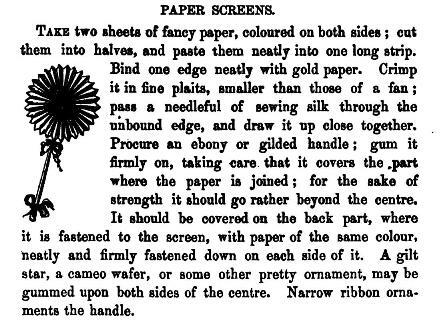 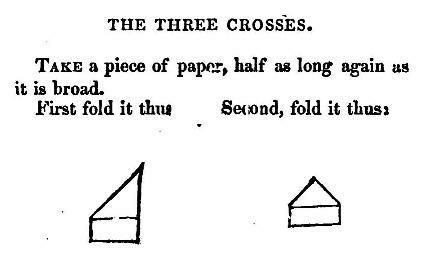 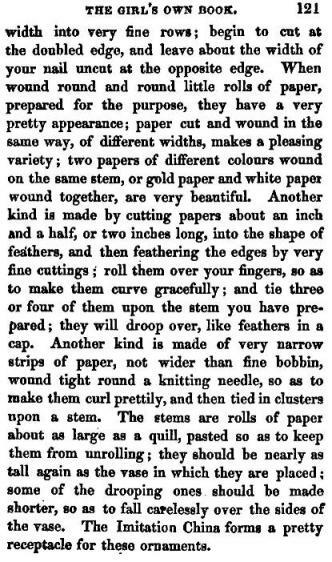 Although the opening sentence claims that 'These ornamental papers are principally for show' it is clear from the following words 'although the avowed purpose is to light cigars, lamps, &c' they are in fact fancy paper spills made by folding and cutting strips of paper. 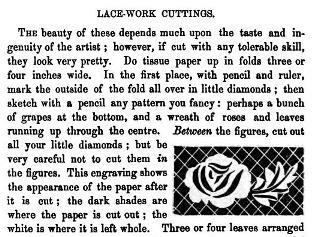 Lace Work Cuttings. 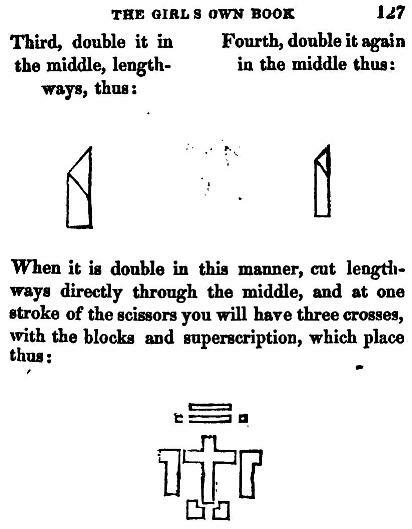 The instructions are not particularly clear but this appears this is a form of fold and cut frieze.